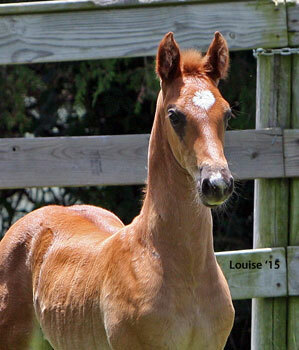 2009 RWC Winsdown Lilac Lane- (Bay Filly by Winsdown Westinghouse)- 2009 KSF RWC Weanling Breeder's Stake. 2009 Calvary Episcopal Okalahoma Futurity Amateur Weanling Champion. 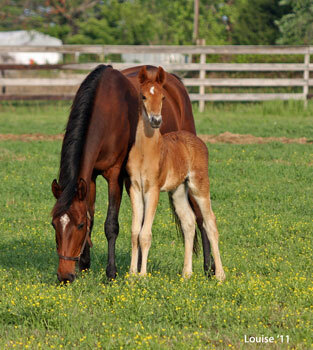 2009 Salina Charity Weanling Filly Champion. 2010 Missouri State Fair Futurity Yearling Grand Champion. 2010 Salina Charity Futurity Yearling Grand Champion. 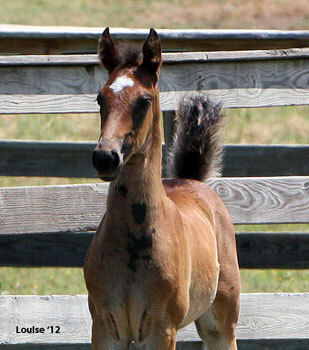 2010 Wisconsin Futurity Yearling Filly Champion. 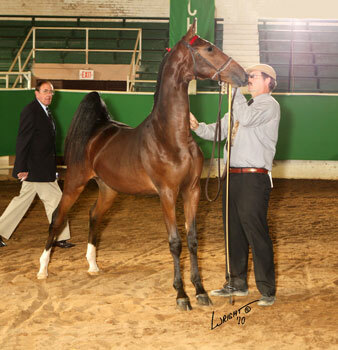 2010 Minnesota Futurity Yearling Amateur Reserve Champion. WC Great Day Rising( 15 SBR CH Points)- 1998 KSF WC ASHA National 3 Year Old Futurity 5 Gaited. 1998 All American Classic ASHA National 3 Years Old Sweepstakes 5 Gaited Champion.1999 Pin Oak 5 Gaited Junior Champion. 1999 Germantown 5 Gaited Junior Champion. 1999 KSF RWC 5 Gaited Junior S/G. 2002 Lexington 5 Gaited Amateur Gentleman Champion. 2004 Indy Charity 5 Gaited Amateur Grand Champion. 2004 Mid-America Mane Event 5 Gaited Amateur Champion. WC Sartorial Splendor (8 SBR CH Points)- 2001 KSF WC 5 Gaited Jr. Ex. 13 & Under. 2001 Southeastern 5 Gaited Jr. Ex. Champion. 2002 Dixie Jubilee 5 Gaited Jr. Ex. Champion. 2007 All American Classic 5 Gaited Jr. Ex. Reserve Champion. 2009 Mid-South Spring Premiere 5 Gaited Jr. Ex. Reserve Champion. Will Call- 2009 Bonnie Blue Park Junior Champion. Suddenly SIngle- 2006 ASHAV Park Junior Champion. Kentucky Fall Classic 3 Gaited Junior Champion. 2007 Rock Creek 3 Gaited Ladies Champion. 2008 KASPHA 5 Gaited Jr. Ex. Champion. 2008 SHelby County Fair 5 Gaited Jr. Ex. Reserve Grand Champion. 2008 KASPHA 5 Gaited Amateur Champion. 2009 Park Amateur Reserve Grand Champion. 2009 Morristown 5 Gaited Jr. Ex. Grand Champion. 2010 Raleigh Spring 5 Gaited Jr. Ex. Champion. 2010 J D Massey 5 Gaited Jr. Ex. Reserve Champion. 2010 N C State Championships 5 Gaited Jr. Ex. Grand Champion. 2010 Blue Ridge 5 Gaited Jr. Ex. 14-17 Grand Champion. 2010 Raleigh Spring 5 Gaited Jr. Ex. Champion. Sosexyalmostevil- 2008 Syracuse Int. Park Pleasure Champion. 2009 Syracuse Int. Fine Harness Reserve Grand Champion and Fine Harness Champion. 2011 N Y State Horse Breeder's Park Pleasure Reserve Grand Champion. William Wallace (AKA H S Satori's Troublemaker)- 2009 KVHA 5 Gaited Open Champion. H S Kiss My Grits- 2009 ASHAV 2 Year Old Fine Harness Champion. 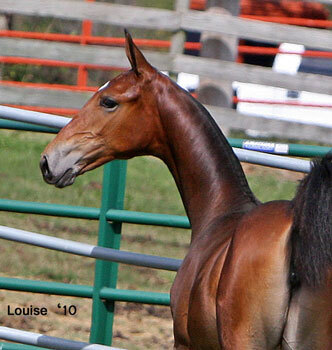 2010 St. Louis UPHA 5 Gaited Champion. 2011 All American Classic Champion 5 Gaited Junior Horse. 2012 Illinois State Fair 5 Gaited Novice Champion. Marakesh Express (7 SBR CH Points)- 1995 Carousel 5 Gaited Grand Champion. 1995 Charity Fair 5 Gaited Junior Champion. 1995 Arizona National 5 Gaited Junior/Limit Champion. 1996 Carousel 5 Gaited Amateur Champion. 1996 Arizona Charity 5 Gaited Amateur Champion. 1997 Showcase of The West 5 Gaited Amateur Grand Champion. South Street- 2007 All American Classic Park Pleasure Junior Reserve Champion. 2007 Kentucky Fall Classic 3 Gaited Country Novice Reserve Champion. 2008 Rock Creek 3 Gaited Country Reserve Grand Champion. 2008 All American 3 Gaited Country Novice Champion. 2009 All American Classic 3 Gaited Country Reserve Grand Champion and 3 Gaited Country Novice Champion. 2010 IASHA Spring Warm-Up 3 Gaited Country Reserve Grand Champion. 2010 All American Horse Classic 3 Gaited Country Adult Grand Champion. 2010 Kentucky Fall Classic 3 Gaited Country Adult Champion. She's A Rockefeller (14 SBR CH Points)- 1995 Midwest Charity 5 Gaited 3 Year Old Champion and 5 Gaited UPHA Champion. 1995 Kentucky Fall Classic UPHA 5 Gaited Reserve Champion. 1995 American Royal 5 Gaited 3 Year Old Reserve Champion. 1996 Midwest Charity 5 Gaited Mare Reserve Champion. 1997 5 Gaited SHow Pleasure Reserve Grand Champion. 1998 River Ridge 5 Gaited Show Pleasure Grand Champion. 1999 Gasparilla Charity 5 Gaited Show Pleasure Grand Champion. 1999 River Ridge 5 Gaited Show Pleasure Reserve Grand Champion. 2002 River Ridge 5 Gaited Show Pleasure Reserve Grand Champion. 2003 Gasparilla 5 Gaited Show Pleasure Grand Champion. 2003 Penn National 5 Gaited Show Pleasure Reserve Grand Champion and 5 Gaited Show Pleasure Grand Champion. WCC Mellennium- (17 SBR CH Points)- 1996 All American Horse Classic UPHA 5 Gaited Champion. 1997 Penn National 5 Gaited Grand Champion. 1998 Indy Charity 5 Gaited Grand Champion. 1999 Lexington 5 Gaited Mare Champion. 2000 KSF RWCC 5 Gaited Ladies and WC 5 Gaited Ladies Mare. 2001 Indy Charity 5 Gaited Ladies Champion. 2001 WCC 5 Gaited Ladies. 2002 Blue Ridge Classic 5 Gaited Jr. Ex. Grand Champion. 2003 American Royal 5 Gaited Jr. Ex. Reserve Grand Champion. RWC She's Fancy Free (AKA Yorktown's Lady Magic) (7 SBR CH Points)- 2005 Raleigh Spring 5 Gaited Show Pleasure Reserve Grand Champion. 2005 River Ridge 5 Gaited Horsemanship Champion. 2005 KSF WC Adult 5 Gaited Show Pleasure. 2007 Oklahoma Centennial 5 Gaited Jr. Ex. Reserve Grand Champion. 2007 Kentucky Spring Premier 5 Gaited Jr. Ex. Reserve Grand Champion. 2007 Indy Charity 5 Gaited Jr. Ex. Grand Champion. 2008 Roanoke 5 Gaited Jr. Ex. Grand Champion. She's All Class- 2000 Carolina Classic 5 Gaited Jr. Ex. Reserve Grand Champion. 2000 Children's Benefit 5 Gaited Jr. Ex. Reserve Grand Champion and 5 Gaited Jr. Ex. Champion. Practical Magic- 2004 Southeastern 5 Gaited Amateur Reserve Champion. Tahitian Treat- 2009 Liberty Classic Open Racking Champion. H S Marakesh's Prodigy- 2008 Indy Charity UPHA Fine Harness Champion. 2008 Selbyville 3 Year Old Fine Harness. 2009 Summer Showcase 3 Gaited Country Grand champion. 2009 Blue Ridge Classic 3 Gaited Country Limit Reserve Grand Champion. H S Virtual Boy- 2009 Greater Boston Park Pleasure Junior/Novice Champion. Distant Trumpet- 1992 N C State Championship 5 Gaited 2 Year Old Champion. New Force- 2001 Pro Am 5 Gaited Show Pleasure Jr. Ex. Champion. Sudden Crescendo- 1989 Scottsdale Show Pleasure Champion. 1990 Scottsdale Country Pleasure Driving Champion. 1991 Scottsdale Country Driving Reserve Grand Champion. 1992 Scottsdale Charity Country Driving Reserve Grand Champion.1993 Scottsdale Charity Country Driving Reserve Grand Champion. I'm Dance'N - 1990 Scottsdale Charity 3 Gaited Show Pleasure Grand Champion. 1991 Scottsdale 3 Gaited Show Pleasure Reserve Champion. WC sire Black Bottom Pie- 1989 Lexington 5 Gaited 3 Year Old Reserve Champion. 1989 Mercer County UPHA 5 Gaited Champion. 1989 American Royal 5 Gaited 3 Year Old Reserve Champion. 1990 Music City 5 Gaited Junior Champion. Heartbeat (AKA Chocolate Cream Pie)- 1991 California Futurity 5 Gaited Junior Reserve Champion. 1992 Del Mar 5 Gaited Mare Reserve Champion. 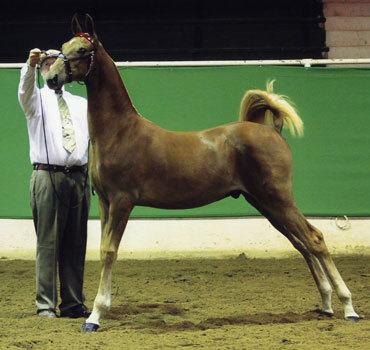 Merchant's Mermaid- 1999 California Futurity Yearling Filly Champion and ASGN Yearling Reserve Grand Champion. Paladin's Pacific- 2004 Flagstaff Classic Fine Harness Reserve Champion. 2004 UPHA Almost Summer Fine Harness Reserve Champion. 2005 New Mexico Show Pleasure Driving Grand Champion. WC Dam Attache's American Pie- 1994 Mid-America Siganture Park Grand Champion. 1994 ASAW Summerfun Park Amateur Reserve Champion. 1995 Madison Classic 3 Gaited Show Pleasure 39-48 Reserve Champion. 1995 Mid-America Signature 3 Gaited Show Pleasure Novice Rider Champion. WC Deker's All American (11 SBR CH Points)- 2000 Wisconsin Futurity 2 Year Old Fine Harness Champion. 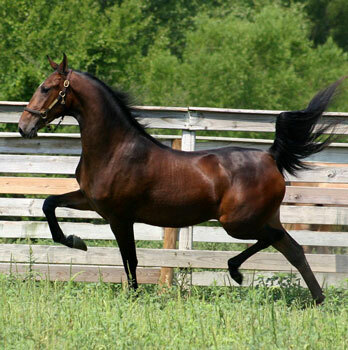 2001 Wisconsin Futurity 3 Year Old 3 Gaited Champion. 2002 Milwaukee Spring 3 Gaited Junior Champion. 2002 Mid-America Signature 3 Gaited Junior Champion. 2002 ASAW Summer Fun 3 Gaited Junior Champion. 2003 Madison Classic 3 Gaited Show Pleasure 39-48 Champion. 2008 Mid-America Spring 3 Gaited Country Jr. Ex. Champion. 2009 Mid-America 3 Gaited country Pleasure Jr. Ex. Champion. 2009 Kentucky State Fair WC 3 Gaited Country Jr. Ex. 14-17 Div. I. Majestic's Tres Attache`- 2004 Madison Classic Fine Harness 2 Year Old. River Bend's Eclipse- 1994 N C State Championship ASGN Yearling Reserve Champion. 1995 Children's Benefit 2 Year Old Fine Harness Reserve Champion. 1995 ASHAV 3 Gaited 2 Year Old Reserve Champion. 1997 Devon 3 Gaited Amateur Reserve Champion. 1998 N C State Fair Fine Harness Reserve Champion. Newman- 1996 Boone County Fair S&B Shatner Champion. 1997 St. Louis Country Western Junior Champion. C B Hammer-Down- 1988 N C State Championship Fine Harness Junior Reserve Champion. 1990 Bonnie Blue 3 Gaited Novice Reserve Champion. 1991 Southeastern Charity 3 Gaited Novice Reserve Champion. 1992 KSF 3 Gaited Over 15.2 6th. 1992 South Carolina Championship 3 Gaited Open Reserve Champion. 1994 Blowing Rock 3 Gaited Jr. Ex. 14-17 Reserve Champion. 1995 Virginia State Show Pleasure Driving Reserve Champion and 3 Gaited Show Pleasure Novice Champion. Heir No Evil- 2003 River Ridge 3 Gaited Show Pleasure Jr. Ex. Grand Champion. 2008 Burlington Spring 3 Gaited Country Adult Reserve Grand Champion. 2008 Jessamine County Fair 3 Gaited Country Champion. 2008 Franklin County Fair 3 Gaited Country Adult Reserve Champion. 2008 Alabama Charity 3 Gaited Country Adult Champion. 2010 MSU Equestrian Club 3 Gaited Country Champion. Perfect Pitch- 1993 Southwestern Expo Park Grand Champion. 1993 Madison Classic 3 Gaited Show Pleasure Maiden Champion. 1993 Berrien County Fair 3 Gaited Show Pleasure Adult 18-29 Champion and 3 Gaited Show Pleasure Novice Champion. 1995 Virginia State 3 Gaited Show Pleasure Adult Reserve Grand Champion. Jake's Little Big Man- 2002 J D Massey 5 Gaited Pony Grand Champion. 2003 N C State Championship 5 Gaited Pony Grand Reserve Champion. 2006 ASAW 5 Gaited Country Reserve Grand Champion and 5 Gaited Country Champion. 2008 UPHA Chapter Ten 5 Gaited Country Champion. WC CH Unattached (AKA C B's Fast Delivery)- 1986 KSF WC Yearling Breeder's Stake. 1990 Santa Barbara 5 Gaited Grand Champion. 1990 California Futurity 5 Gaited Grand Champion. 1991 Rock Creek 5 Gaited Grand Champion. 1991 Lexington 5 Gaited Grand Champion. 1991 KSF WC 5 Gaited Gelding. 1992 Rock Creek 5 Gaited Ladies Grand Champion. Lexington 5 Gaited Ladies Grand Champion. 1992 Wisconsin Futuirty 5 Gaited Grand Champion. 1993 Midwest Charity 5 Gaited Grand Champion. 1995 KSF WC 5 Gaited Ladies Championship. 1996 Kentucky Fall Classic 5 Gaited Amateur Grand Champion.1997 Lexington 5 Gaited Amateur Grand Champion. WC First Class Heir (43 SBR Points)- 2005 Milwaukee Spring Park Pleasure Grand Champion. 2005 KSF WC Park Stallion/Gelding. 2005 Wisconsin Futurity Park Pleasure Grand Champion. 2005 Mid-America Mane Event Park Grand Champion. 2006 Midwest Charity Park Grand Champion. 2006 Mid-America Mane Event Park Grand Champion. CH Whitney Houston- 2002 Des Moines Springfest Park Grand Champion. 2003 Des Moines Springfest Park Grand Champion. 2003 Nebraska Charity Park Grand Champion. 2003 Missouri State Fair Park Grand Champion. 2004 Boone County Fair Park Amateur Grand Champion. 2004 St. Louis Park Grand Champion. 2007 Carousel Charity 3 Gaited Grand Champion. 2008 California Futurity 3 Gaited Grand Champion. Athena- 1999 KSF Yearling Breeder's Stake Top Five. 2007 ETSA Mid-Summer Park Reserve Champion. 2008 ETSA Mid-Summer Classic Park Pleasure Grand Champion. CH Revolver (AKA Day's Grecian Gray)- 2005 Midwest Charity 3 Gaited Jr. Ex. 14-17 Grand Champion. 2005 ASAW 3 Gaited Jr. Ex. Grand Champion.2006 Des Moines Springfest 3 Gaited Jr. Ex. Grand Champion. 2007 MGM Spring Park Grand Champion. 2007 Madison Classic Park Jr. Ex. Grand Champion. 2007 Tanbark Park Amateur Grand Champion. 2008 MGM Park Amatrur Grand Champion. 2008 Madiscon Classic Park Jr. Ex. Grand Champion. 2008 Midwest Charity Park Amateur Grand Champion. 2009 KSF Fine Harness Amateur Gentleman Top Three. 2010 Lexington Fine Harness Open Stallion/Gelding Champion. Foxy Camilla (AKA Hats Off To Harper) (6 SBR CH Points)- 2006 Rock Creek UPHA Park Pleasure Reserve Champion. 2007 Southeastern Park Amateur Grand Champion. 2008 Pro-Am Benefit Park Amateur Reserve Grand Champion. 2009 Kentucky Spring Premier Show Pleasure Driving Reserve Grand Champion. 2009 Rock Creek Show Pleasure Driving Reserve Grand Champion. 2009 Mercer County Fair Show Pleasure Driving Reserve Grand Champion. 2010 Southeastern 3 Gaited Show Pleasure Georgia Owned Reserve Champion. WC Moet (AKA In A Fog) (13 SBR CH Points)- 1990 KSF KY Futurity Open Yearling Top Three. 1992 Children's Benefit Fine Harness Reserve Grand Champion. 1992 Penn National UPHA Fine Harness Champion. 1993 Roanoke Fine Harness Junior Champion. 1996 Rock Creek 5 Gaited Ladies Grand Champion. 1996 Lexington 5 Gaited Reserve Grand Champion. 1997 Oklahoma Centennial 5 Gaited Reserve Grand Champion. 1997 Rock Creek 5 Gaited Reserve Grand Champion. 1998 KSF RWC 5 Gaited Mare. 1999 KSF WC 5 Gaited Jr. Ex. 14-15. 2000 KSF WC 5 Gaited Jr. Ex. 14-15. 2001 J D Massey 5 Gaited Jr. Ex. Grand Champion. 2001 RWC KSF 5 Gaited Jr. Ex. 16-17 Drv. I.
Stonewall's Althea- 2002 Wisconsin Futurity Amateur Weanling Reserve Champion. Exquisite Airs- 2008 Minnesota Futurity LTD Stake Grand Champion. Stonehedge Supreme Commander (12 SBR CH Points)- 2006 Kentucky Fall Classic Park Reserve Grand Champion. 2007 River Ridge Park Amateur Grand Champion. 2007 Roanoke 3 Gaited Show Pleasure Adult 18-40 Reserve Grand Champion. 2007 ASHAV Park Pleasure Grand Champion. 2007 Penn National 3 Gaited Jr. Ex. Grand Champion. 2008 ASHAV Park Pleasure Reserve Grand Champion. The Blue Kangaroo- 2006 Glen Valley Classic Country Hunt Grand Champion. The Silver Storm- 2004 All American Classic ALL AMERICAN CUP Reserve Grand Champion.